Little Warham Fishery also offers a river guide service to assist with fishing, tackle and transport to along the river. A small selection of flys and tackle are available to assist your fishing trip if required. Escape, Enjoy The Peace & The Excellent Fishing! A Great Day On The River! 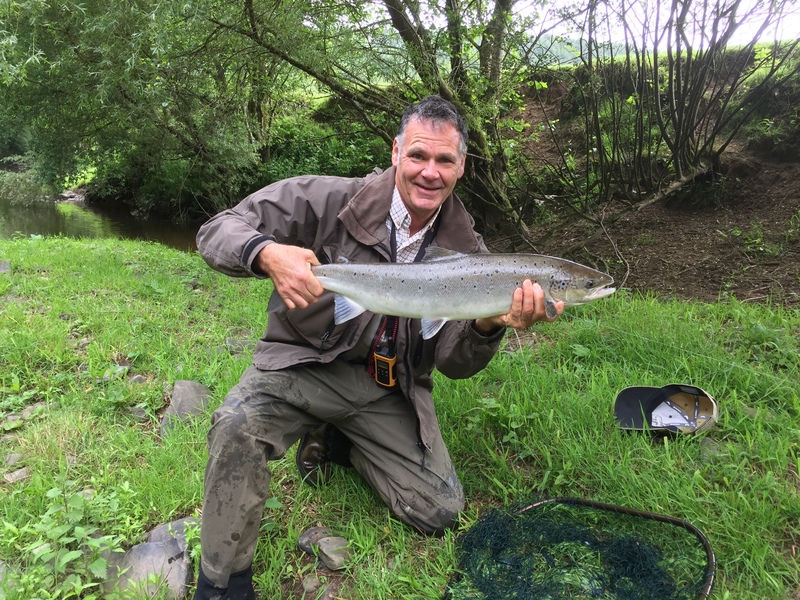 "Some Of The Best Salmon & Sea Trout Fishing In Devon"
The fishery offers two miles of private river bank in a tranquil and idyllic setting for uninterrupted angling. 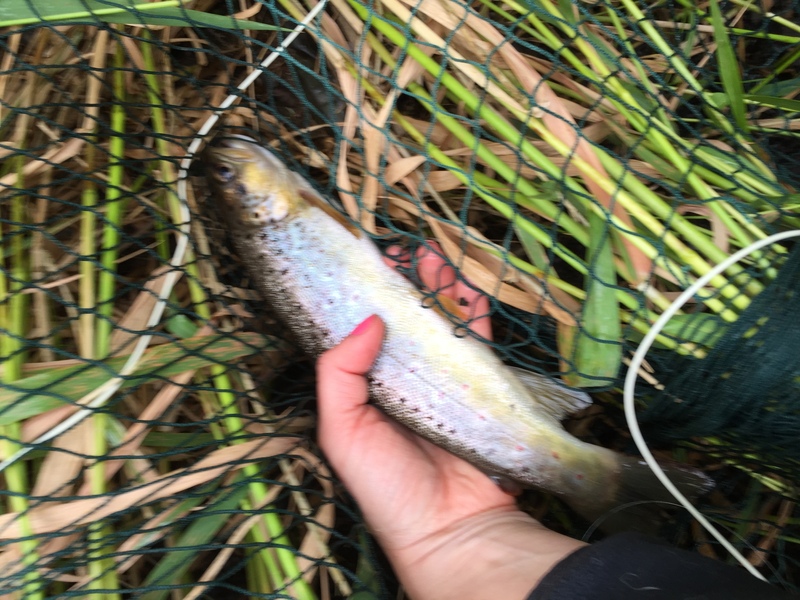 There are 17 named pools over four beats, often referred to as the nicest stretch of river with some of the best fly fishing on the River Torridge, with the fish records and testimonials to match. 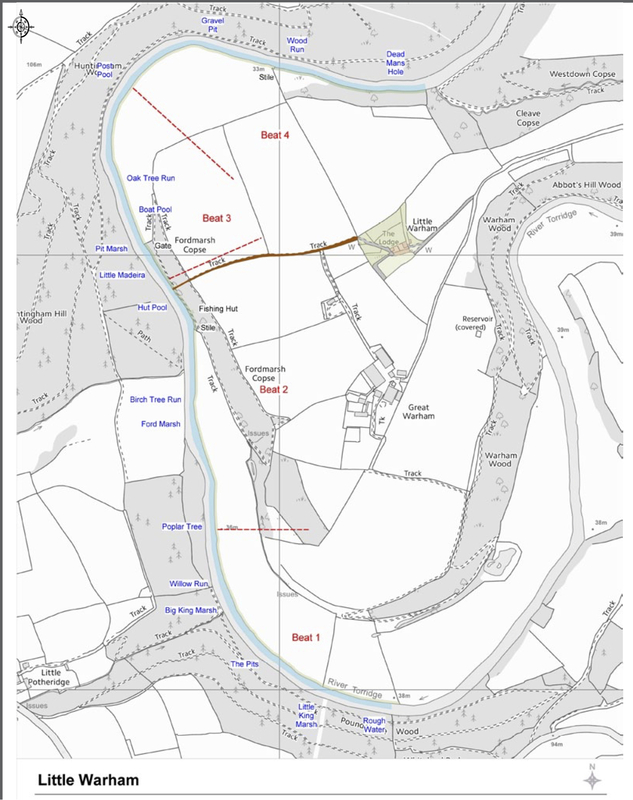 This exclusive Mid section of river is ideally nestled between Dolton Bridge and Beam Weir, Great Torrington. The first salmon will show during the months of March, April and May, however the most productive times are during the summer and early autumn, given the correct conditions and water levels. The Salmon season opens on 1st March and spinning is permitted until the 1st April. Small and medium double handed salmon rods and switch rods are perfectly suitable for use on the Torridge. Floating and intermediate lines tipped with 10-15lb nylon leader are adequate for the river. Hair winged flies and flies of orange, yellow, black and silver tend to be favoured. Traditionally Sea Trout enter the river in April with June, July and August being the most productive months. Fishing during late evening through to dusk in to darkness provides exceptional fishing conditions. 10lb sea trout are not uncommon, with fish recorded up to 12lb. 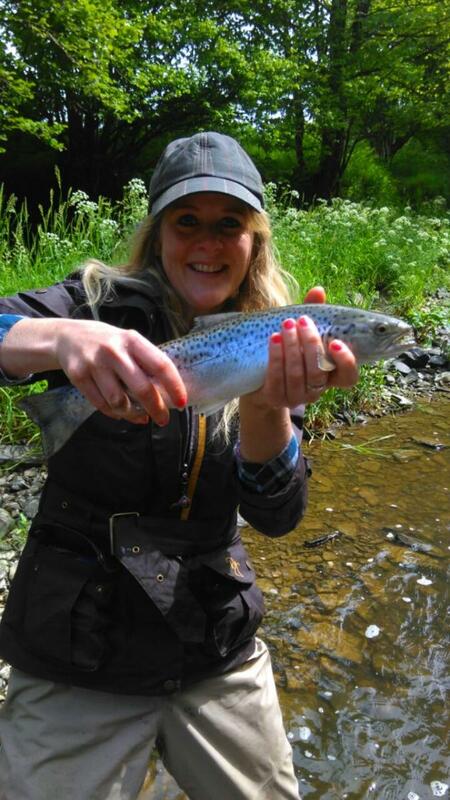 Two methods of fishing are often used, one being a similar set up to salmon, with a favoured sea trout fly. The alternative approach, for the more seasoned angler would the option of using a lighter single handed rod, fishing dry fly up stream. Fishing at Little Warham can be exceptional for brown trout with the more favourable months being May and June. Light single handed rods with a dry fly and a cautious approach should tempt the most spirited brown trout. I have fished Little Warham for thirteen years and have taken many fine salmon to 23lbs and sea trout to 7lbs. I have had many encounters with deer, otters, badgers and much more, in what can only be described as spectacular countryside. I believe the new owners Anthony and Amanda will ensure the uniqueness of the fishery is preserved to the benefit of those who love fly fishing and for posterity. The four beats can accommodate 4-5 anglers with a lunchtime rotation. The entire river bank is extremely accessible to accommodate both inexperienced and experienced anglers. Some pools have shingle beach stretches which can be fished with comparative ease. Wading is required to access some of the pools, however there is plenty of fishing to be enjoyed from the bank. Little Warham fishery has the added benefit of a sizeable well equipped Tudor style fishing hut, offering well deserved rest bite, comfort and shelter after or during a hard days fishing. The fishing hut is steeped in history with a 33lb salmon recorded and etched above the open fire place – perfectly placed to warm the anglers appetite!